Everyone has those mornings where they wake up feeling unrested and stiff. Coffee can only do so much, and most of the time naps aren’t an option during the day. All in all, you may be feeling generally disconnected with your body. There are ways in which you can find ways to bounce back, one of them being exercise. Incorporating movement and exercise into your daily routine is one of the best ways to begin feeling energized, clear, and establish a deeper connection with yourself. We don’t believe anyone is “weak”, we believe that underlying strength is just waiting to be awakened. You can do this with our pilates studio in Brentwood. Through our pilates studio in Brentwood, we can help you to establish a plan for the future. Pilates is one of the top forms of exercise that people seek out. It targets all different areas of the body to tighten, strengthen, and elongate. 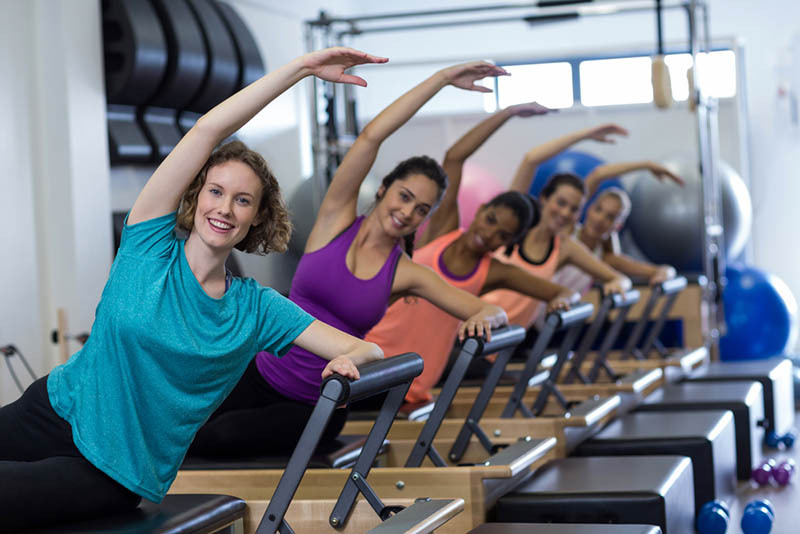 After multiple sessions of pilates, many will say they feel as though they are standing taller and feeling more awake throughout their days. Exercise helps to clean out toxic thoughts the mind can create, making room for positive and progressive thinking. This can help you in all sectors of your life; work, school, relationships. So though us, you can make a plan for your body. Everyone has goals, and we are here to help you reach them. Throughout the day your body makes specific requests; some may call them cravings. Yet you will hear time and time again that you need to listen to your body, because it is constantly asking. It is good practice to try and adhere to its requests, especially when it comes to hydration, rest, and movement. Nutrition is also a huge factor in keeping your body happy, as it frequently wants a variety of flavors. Over time you will see improvements to your mentality and physical strength if you continue to feed your body the positive energy and nutrition it constantly wants and needs. As a top pilates studio in Brentwood, Have Body Wellness is focused on helping you become the best version of yourself. Although we understand that huge changes can’t happen in one day, and for this we help you to create a plan with many moving parts that will help you progress. Sign up for our sessions today and begin experiencing positive results! If you have specific questions about our classes or our studio, please call (310) 453-1221 or send an email to info@havebodywellness.com.